Incredibly beautiful and terrifying texture pack for Minecraft Pocket Edition 0.12.1. Texture pack made in cartoon style and it is perfect choice for a those players who are tired of the standard textures in the game who want something new and incredibly cool. Default Texture [32x] for Minecraft 1.8.6Many players are looking a standard texture for Minecraft 1.8. In this article I want to introduce you to an improved standard resource pack in the same resolution 32x, but with enhanced detail. 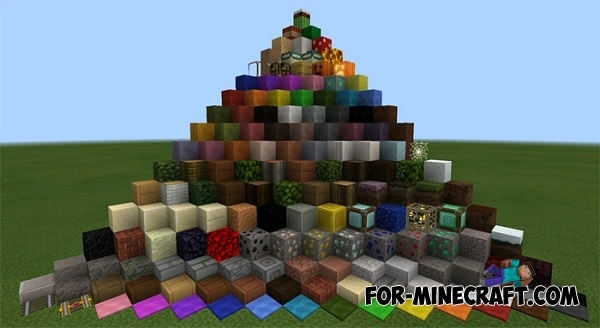 PocketBDcraft texture [64&#215;64] for Minecraft Pocket Edition 0.10.0Hey guys! I suggest you see this texture pack, which has a cartoon picture.